The fear of going outside, under the big blue sky, was so paralyzing that just over fifteen years ago, Riley went to bed and didn’t get up. She couldn’t articulate just how the fear overtook her, but for five years, she lived in her bedroom, seeing only her husband and two children…when they came up to see her. While aware of the extreme nature of her actions, Riley had no idea how to begin dealing with everything that had been bundled up inside of her for so long. The best thing she knew to do in that moment was barricade herself inside and self-protect. Drawing on her faith, Riley finally reached a point of being willing and able to face the pain of her childhood trauma – pain she had held onto for decades. During her toughest days, her husband would say, “I know when you are ready, it will all disappear.” She didn’t respond to anyone who tried to push her to get back to life outside of her room…but her husband never did. She felt as though he loved her unconditionally, just as she was. At forty years of age, after two and a half decades of holding the pain from her childhood trauma inside, she woke up one day and realized that she had finally reached a point of being willing and able to face it. All of the emotions that were bottled up inside of her just exploded, like a pressure cooker. For the first time, she let herself cry and feel the hurt. And from that point onward, she was able to let go of all the weight she had been carrying for so long. Her first step wasn’t one she consciously planned on taking. All of a sudden, she was simply able to leave the house. That day, she went directly from her home to the car, in the trusted care of her husband. They went for a drive, though she hadn’t yet reached the point of being able to get out of the car. Every step she took in an effort to re-establish her life had been in her husband’s care. There were many steps that followed, and some were unexpectedly subtle. One day, while watching a daytime television show, she decided to cook along with the hosts who were teaching the audience how to make a multi-layered dessert. When she completed the dish, she thought If I can do this, I can do anything! After the show, she made the choice to walk out the door, on her own, and get on a bus. She hadn’t planned on getting off the bus…though also hadn’t considered that it may not be a circular route. When the driver announced that the route was coming to an end at a shelter next to the food bank, she had no choice but to get off. Landing her two feet on the ground, she walked to the food bank…and for the next year, she got on that bus each and every day, to and from a new role of preparing food for others. As life progressed, there were times when things got easier, and there were times when things got tough again. Riley used her faith to move forward. “I’ve always believed that God never gives us more than we can handle. If I felt like I couldn’t handle what I was given at any point in time, I just passed it over to God and asked him to carry the burden for a while,” she said. It was then that Riley did was she calls “deciding to step into the breach.” She joined a training for “the older labor force” as her attempt to break through the barriers of the life that she had known for five years, and move forward to the life that she truly desired. While she (ironically) loved people, it wasn’t easy to take a step as big as submerging herself in an intensive training course with other people, day in and day out, far away from the safety of her home. Every morning, her husband drove her to the front door of the training center, and every night, he picked her up. Quickly, she forged relationships with classmates who encouraged and supported her. She needed them to help give her the gentle push she sometimes needed, as there continued to be times when she was truly tested. The day the class had to make their way across the street for a special session, Riley panicked. What was an effortless trek for her classmates was a momentous feat for her. She told her instructor that she simply could not go. Without awareness of Riley’s condition or history, the instructor gently replied that she would see her across the road in a few minutes, along with the rest of the class. Riley never forget that day: stepping foot outside of the doors of the training building and looking across the street, feeling numbed by sheer terror. She thought that she still needed the shelter of buildings, and she didn’t dare look up at the big blue sky – it was far too vast and frightening. All she could do was look straight ahead at her destination. Five steps at a time, she started to make her way. One, two, three, four, five. When she reached the intersection, she froze. She didn’t know if she could cross the street. The only thing that got her through was remembering what her grandmother had told her: “If you can make it half way, go forward. There is no point in turning back.” Half way. Keep going. One, two, three, four, five. She made it across the street, into the building and ran into the arms of her instructor to give her a hug – an instructor who knew nothing about Riley’s fear, and who had gifted her the gentle push she needed to make a giant leap. That night, Riley called everyone close to her to tell them what she had done. Love yourself through the tough, small steps. The key message here is about Compassion and Small Action – loving yourself through the tough, small steps. Think of how you’d treat a child who has had a big fall. You aren’t going to force them to immediately get up. Chance are, you’ll comfort them and see what they need. From there, you take gradual steps and do what you can to ease the pain. You gently help them restore their smile and support their renewed ability to run freely. The same should apply for how you treat yourself. Take small steps, be supportive of yourself and find others to support you. Riley was only able to step outside into the big world once again because of those who supported her through her hardest times – those who knew when to gently nudge and when to quietly be present. From there, she extended compassion to herself and took small steps, five at a time. One, Two, Three, Four, Five. What are the steps we can each take? Break Down Your Barriers – Whether we’ve built them or placed ourselves in a world filled with them, letting down our walls is crucial to our being able to overcome great challenge, grow and build relationships. In her Huffington Post article, “5 Ways to Break the Barrier of Fear,” Creative Thought Leader Joan Moran suggests questioning the worst that can happen, changing your story, making small intentions, controlling your imagination and breathing through fear. 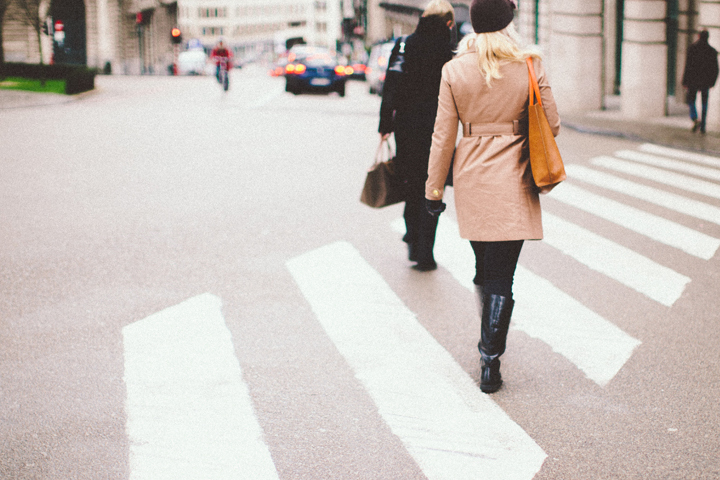 Cross the Street – Looking at or from the other side of a situation gives us incredible perspective…though it also requires courage. The unknown can be frightening, though it is also the holder of possibility. In order to grow, evolve, transform, we need to be willing to step into the unknown and venture into new territory. Think of everyone you know if your life (outside your immediate family). They were all once strangers. At some point, either one of you had to be willing to step into new territory or beyond the bounds of your typical comfort in order to meet each other. Look at the relationship you have now – it is the product of possibility. Remember this the next time you question whether you can bring yourself to “cross the street,” so to speak. From behind her self-made barriers, Riley found her way back into the big-blue-sky-world, fully supported by friends old and new. In whatever challenge you face moving forward, remember to be conscious of any barriers you’ve created, watch for the passing “buses” of opportunity, and at whatever pace feels right for you, be willing to cross the street. 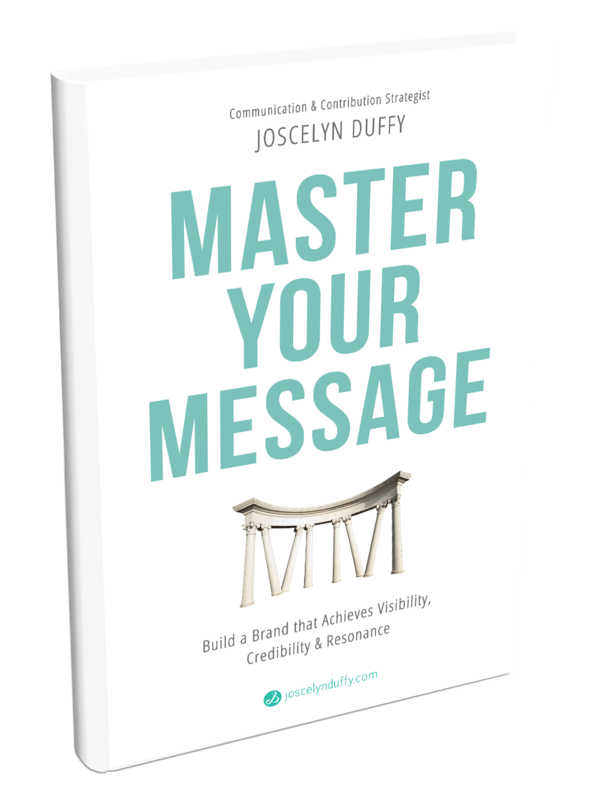 For 5 Steps to sharing your unique value with others, click HERE get your FREE copy of Communicating Value: 5 Steps to Increasing Long-Term Visibility and Viability in Your Business. What I don’t understand is in reality how you’re now not really much more well-appreciated than you might be now. You are so intelligent. You understand things considerably with regards to this topic. You made me, in my opinion, believe it from numerous various angles. Its like women and men don’t seem to be fascinated until it’s something to accomplish with Girl gaga! Thank you for taking the time to share these beautiful words.